How do you boost your spiritual business? Here are 5 ways you can put in place now whether you are just starting or have been in business a while. When you start your spiritual business your biggest concern is getting people to know you even exist. Then, once your business is established, you worry about how to keep customers coming in. The strategy is always the same whether you are just starting out or have an existing business. As a spiritual business owner, a big part of your job is to make it easy for someone to find you and build a personal relationship by getting them to know you. Even if you get their attention, you’re not done yet; he or she will want to know more about you and what you do before they decide to purchase something. Boosting your spiritual business is all about attracting and resonating with people. You “attract” to get someone’s attention, and then if you “resonate” with him or her they’ll become a customer. To keep your customers coming back again and again, you’ll want to “synergize” your relationship with them. These are the three key components of Spiritual Business marketing that can boost your business: Attract, Resonate and Synergize. #2 Solve a problem When you promote your services or products, your message should be how your business solves a problem your customer has. People are looking to purchase things to improve an area in their life, to solve an issue or problem. Your business has the solution! Perhaps your meditation CD reduces daily stress and anxiety, your herbal remedy increases mental clarity, or your Yoga class can revitalize someone’s energy so they can accomplish more in a day. #3 Have a website Creating a website for your business is now more important than ever. Even if you have a one page website, people will find your business more easily for two reasons. First, almost everyone is getting information from the Internet. Not many people use the yellow pages any more; they go to Google to search for what they need. Secondly, you can describe more about your business on a website than you can on a business card. Websites give your business authenticity, authority and establishes it as a serious endeavor. 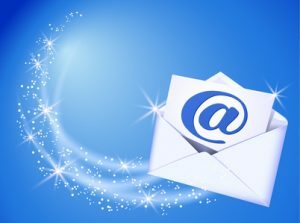 #4 Keep a list Keep a list of email addresses of “self-selected” people who choose to be on your list, are interested in you and your business. This is key to building a customer relationship. By staying in contact periodically through email you allow them to get to know you while keeping your business in front of them. #5 Go out and do Every class, talk or service you offer and do is marketing and gets the word out that you’re open for business. The more you do, the more opportunity people have to come across you in action and know that you have something to offer. It takes 7 to 9 times of someone seeing your name before they begin to remember you exist. Going out and doing helps you reach that larger group of potential customers. 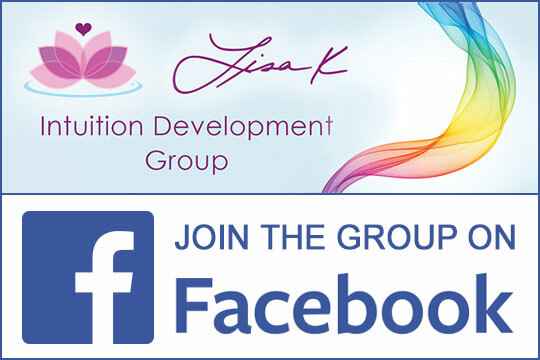 Lisa K. is a teacher, author and speaker teaching others how to develop their intuition through a global presence and in-person workshops. Starting her spiritual business in 2007, she nearly tripled her following in 2 years through social media and direct marketing. She teaches her business building techniques online, helping spiritual business entrepreneurs get their business started. As an author, Lisa’s work is frequently published in a variety of online magazines including The Huffington Post and is a Featured Columnist for OmTimes Magazine. Findhorn Press published her latest book, “Grow Your Spiritual Business” co-authored with Cindy Griffith.